The Sweet Dreams Clayton 3' Ottoman Base provides excellent support for all types of mattress, including heavy pocket spring mattresses. With a wide range of upholstery finishes available, the Sweet Dreams Clayton Single Ottoman Base provides 4 times more storage than a base with drawers. The Sweet Dreams Clayton 3' Ottoman Base provides Excellent Support for all Types of Mattress, including heavy pocket spring mattresses. 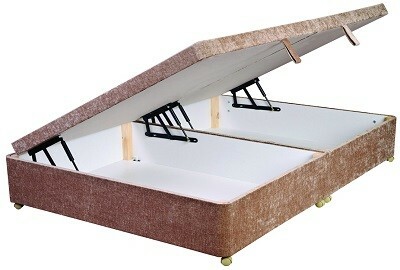 The Side-opening Ottoman Base provides up to 4x More Storage than Divan Bases with Drawers. Complete with a Hydraulic Mechanism, the Anti-slip Material on the Base Top ensures that the Mattress Does Not Move During Lifting and Closing. The Sweet Dreams Clayton Single Ottoman Base comes in a Wide Selection of Upholstery Fabrics or the option of a Faux Leather or Faux Suede Finish. 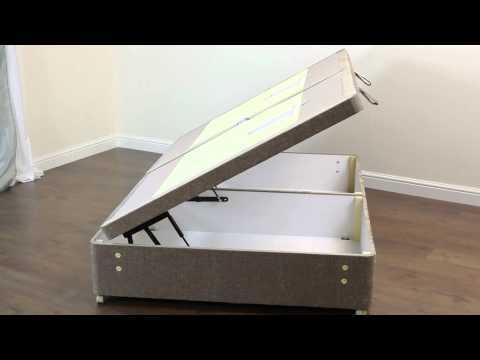 This luxury ottoman base has the added reassurance of Sweet Dreams' 1 Year Guarantee and also benefits from Free Delivery* and Free Collection and Recycling of Your Old Bed throughout Northern Ireland, and Counties Monaghan, Louth and Dublin, in the Republic of Ireland. 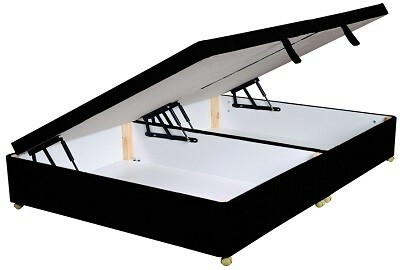 What's more, we’ll also Unpack and Set-up your New Ottoman in a Room of your Choosing and Dispose of all the Packaging.